Mineral Fiber Sheet is good in quality and competitive in price. 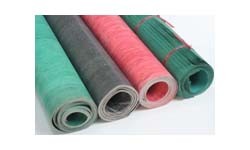 We are manufacturer and supplier of Mineral Fiber Sheet following your specific requirement. RGS Oil resisting Asbestos rubber sheets are made from good long asbestos fiber, oil-resistant synthetic rubber, heat resisting material compound heating and compression molding. 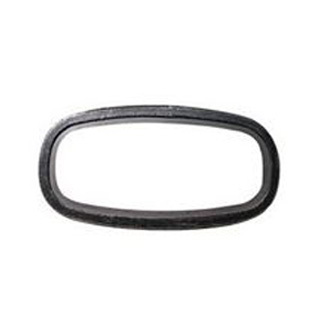 It used as sealing material in the joint of oil pipeline and sealing gaskets. RGS Mineral Fiber Rubber Sheet Reinforced with Metal Mesh is made of good Mineral fiber rubber with steel wire inserted and compound heating and compression molding. Normal within graphite coated both surface. RGS Asbestos Rubber Sheet is made from asbestos fiber, rubber and heat-resisting materials, compressing it into thick paper. RGS Mineral Fiber beater sheet is made from synthetic latex, Mineral Fiber fiber and filling materials, normal used for automobile, agricultural machinery, etc..
RGS Acid resisting Mineral Fiber rubber sheet is made of good Mineral Fiber with acid resistant synthetic rubber compression heating and compression molding.